Heather Dietrick used to run this place. 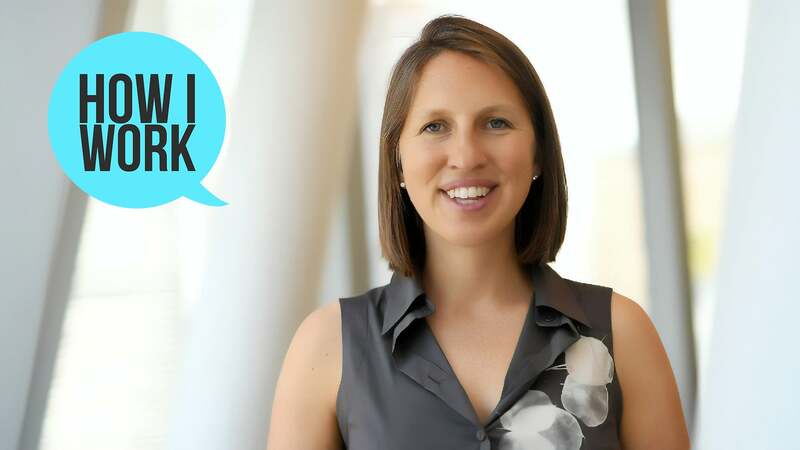 Dietrick was the beloved president of Lifehacker US' parent company, Gizmodo Media Group, before leaving in 2017 to join The Daily Beast as CEO. 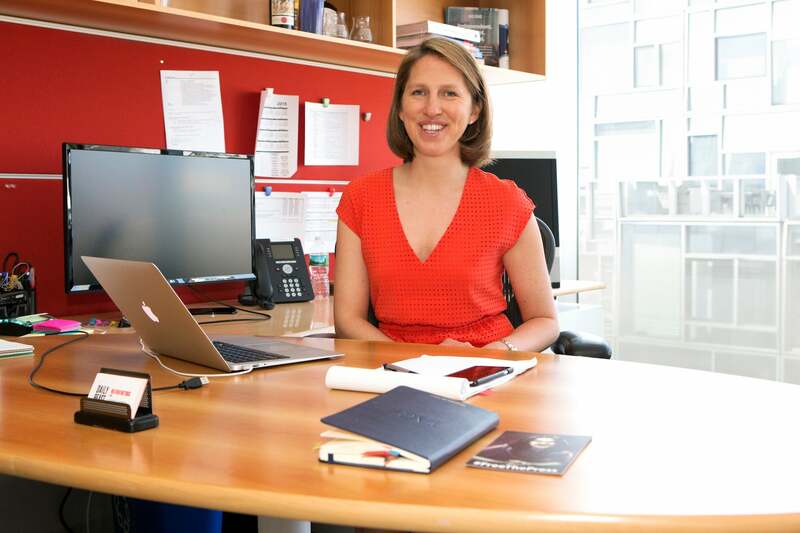 In How I Work's tradition of interviewing our past and present colleagues, we talked to her about building a career in law and business defined by the US First Amendment. I thought I wanted to be a journalist when I was in university but ended up falling in love with the law. I went to the University of Michigan for a JD/MBA and afterwards focused on figuring out how to practise First Amendment law, which is a pretty small field and can be hard to break into. After clerking for a federal judge, working at a few law firms practising First Amendment and IP, and landing a First Amendment fellowship at Hearst, I went to Gawker Media to build and lead a legal team. Shortly after I joined Gawker, I began to have a larger hand in running the business and eventually became president of the company. Fast forward through a trial with too many twists and turns to list here and our sale of most of Gawker's assets to Univision (a tale which Lifehacker knows well), and I knew I was ready to find the next career move. While I loved practising law and defending journalists and their stories, I was even more focused on the business of media and building a successful business around truly meaningful, impactful content. 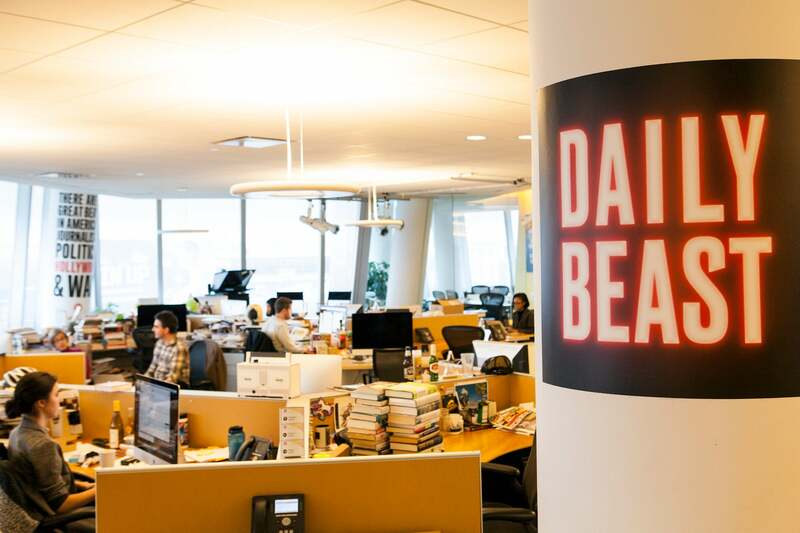 With that focus in mind, I became CEO of The Daily Beast just under a year ago. Take us through a recent workday. What does running a digital media outlet look like up close? Yesterday I started off with a run (I really can't start the day without some exercise endorphins! ), met another publishing CEO for breakfast, discussed the launch of a new product with our head of biz dev, held a managers' meeting to strategise on some of our new initiatives with department heads so that everyone is on the same page, lunched with one of our writers, met with my exec team throughout the day to make decisions on major projects, and had dinner at an industry trade association event. My phone, calendar, Parse.ly to keep an eye on traffic, ecobee (an app that allows you to change the temperature of your home remotely). I'm a neat freak so my desk is usually orderly with just my essentials - computer, documents I'm currently working on, sticky tabs (can't live without them! ), and Post-its - out on top. Everything else goes in a drawer or file. I have a real office with a door, which I hadn't had in years and didn't prefer at first since I like to be among the people I work with, but I've come around to love it because it's big enough to double as an impromptu conference room and always has my coworkers in and out for meetings and brainstorms. What's your best shortcut or life hack (no matter how small or niche), or a great rule around your office? Handle the small stuff immediately before you have to bother writing it down. Get it out of the way so you can clear headspace for the more interesting, longer projects. I try to make time almost every day to grab time with someone at the company with whom I don't usually work. It's a great way to find stars you never knew you had and to understand where there are roadblocks so you can remove them. My exec team is the absolute best. Much of my job is about helping them succeed and make their teams better. This is so old fashioned but I usually have a couple of Post-it notes going throughout the day. Sometimes I leap into the 21st century and make a list on my phone, but it's usually Post-its. I almost always spend weekends at the beach in Montauk, even in the winter. It's clarifying for me to see the ocean and hike the trails out there with the three loves of my life, my husband Dan and my two Sato Project pups Jack and Lola. All The Light We Cannot See. I was a little late to this one but it was one of the most beautifully written novels I've read in years. Who else would you like to see answer these same questions? Be on a journey for lifelong improvement. What's something you're still trying to solve?